Amended Feb. 5, 1931; Mar. 5, 1931; Mar. 28, 1934; Dec. 5, 1934; Jan. 18, 1935; Dec. 17, 1935; Oct. 13, 1937; May 23, 1942; Dec. 13, 1948; Nov. 15, 1950; Apr. 30, 1952; Feb. 25, 1954; Nov. 17, 1955; June 6, 1957; May 8, 1963; May 20, 1964; Feb. 24, 1965; Apr. 22, 1970; Oct. 23, 1974; Apr. 20, 1977; May 18, 1983; May 3, 1988; May 1990; May 1992; May, 1997; May, 2000; May, 2002; Feb, 2015. 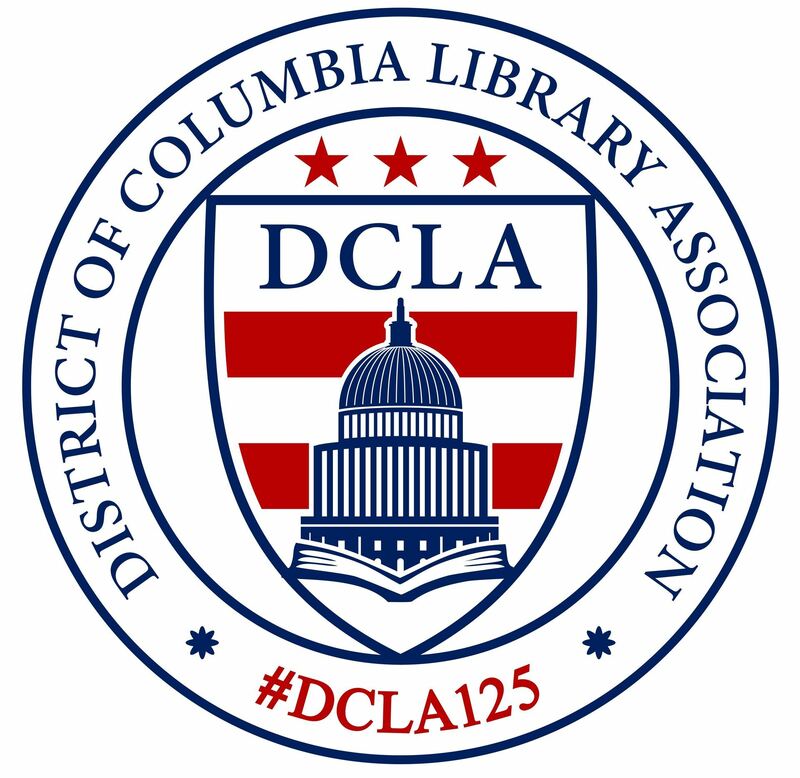 The name of this organization is the District of Columbia Library Association. Its object is to promote and support libraries and information centers and to provide for professional development, continuing education, and collegial exchange among librarians and information specialists in Washington, D. C. and vicinity. Any person, library, or other institution interested in librarianship is eligible for membership. The Board of Directors may suspend a member for cause, after a hearing, by a two-thirds vote of the members of the Board of Directors and may reinstate a member by a like or greater vote. 1. Active member: Any person active or interested in libraries and librarianship. Active members shall receive the publications of the Association specified by the Board of Directors and access to the Members Only areas of the Association website. Active members may vote and hold office, except where noted. Basic membership - annual dues: $45.00. Part-time/unemployed/retired membership - annual dues: $35.00. *Student membership is open to any person enrolled in a degree program leading to a Master's in Library Science. Membership in this category is limited to two years or length of full-time Master's in Library Science status. Student members may vote, but not hold elective office. Student members may vote but not hold elective office. 2. Supporting member: Any person active or interested in libraries and librarianship and who provides additional annual financial support to the Association. Supporting members shall receive the publications of the Association specified by the Board of Directors and access to the Members Only areas of the Association website. Active members may vote and hold office. Names of sustaining members may be listed in publications of the Association as determined by the Board of Directors. There are four levels at which one may be a supporting member: Bronze - annual dues: $65; Silver -annual dues: $85; Gold -annual dues: $105; and Platinum - annual dues: $250. 3. Institutional members: Any organization interested in libraries and librarianship may become an Institutional member of the Association, and enroll a designated number of employees as representatives. All individuals represented under an institutional membership will receive the publications of the Association specified by the Board of Directors and access to the Members Only areas of the Association website. All individuals represented under an institutional membership may vote. Individuals represented under an institutional membership may hold office, provided their membership remains in good standing throughout their designated term. Names of Institutional members may be listed in publications of the Association as determined by the Board of Directors. There are four categories of Institutional members: Institutional Member - 5 Members - Annual dues: $200 for up to 5 members; Institutional Member - 10 Members - Annual dues: $400 for up to 10 members; Institutional Member - 20 Members - Annual dues: $780 for up to 20 members; and Institutional Member - 40 Members - Annual dues: $1520 for up to 40 members. 4. Honorary members: Upon nomination by the Board of Directors, the Association may confer on any person the title of honorary member for life. Honorary members will receive the publications of the Association specified by the Board of Directors and access to the Members Only areas of the Association website. Honorary members may not vote or hold office. 5. Temporary classes of membership: A majority vote of the elected Board of Directors may establish temporary categories of membership along with setting the perquisites and dues for such temporary classes. No class shall be retained for more than two years except as incorporated into the By-Laws by vote of the membership of the Association. Following the establishment of any such temporary class of membership, notice shall appear in the next published issue of the Association publications. The elected officers are a President, a President-Elect who shall serve as Vice-President, a Secretary, a Treasurer, a Membership Director who shall serve as membership records officer, ALA Chapter Councilor, and three Board Members who serve as one of three directors focused on Advocacy, Career and Leadership Development, and Systems. The officers shall be elected by ballot, all except the President, for terms of two years; each shall serve until a successor is chosen, and none is eligible for reelection to a consecutive term. The Secretary, Membership Director, and one Board Member shall be elected in odd numbered years, and the Treasurer and two Board Members shall be elected in even numbered years. The President shall be elected annually, and shall serve the first year after election as Vice-President, the second year as President, and the third as Immediate Past President, and shall not be eligible for reelection to a consecutive term. Newly elected officers shall take office on July 1st and this date shall be considered the start of DCLA's administrative and fiscal year. Candidates for election to the various offices shall be chosen by a Nominating Committee, no more than one member of which shall be a member of the Board of Directors. The ballot shall bear also the names of any candidates nominated by petition signed by at least ten members. The elected officers, together with the immediate past president and the ALA Chapter Councilor constitute a Board of Directors. The Board of Directors has the power to arrange programs, to appoint such committees as may be necessary, to appoint the Editor of the Association publications and any assistants to the Editor, and to act for the Association in all matters not reserved in these By-Laws. Five members of the Board of Directors shall constitute a quorum. The Association's chapter representative on the Council of the American Library Association shall be elected for the term and in the manner prescribed by the ALA Constitution and By-Laws, shall carry out the duties prescribed for such chapter representatives by the ALA Constitution and By-Laws, insure that required reports are made to the appropriate office of ALA and shall serve as a voting member of the Board of Directors. Vacancies in offices, except those of President and President-Elect, may be filled by the Board of Directors for the unexpired term, except that, if the vacancy occurs during the first year of a two-year term, an officer shall be elected by ballot to fill the vacancy during the second year. If the Presidency becomes vacant, the President-Elect shall act as President for the balance of the unexpired term. If the office of President-Elect becomes vacant, a special election shall be held to fill it. In case of simultaneous vacancy in the offices of President and President-Elect, the Executive Board shall appoint one of its members to act as President until an election can be held. Any elected officer who misses three consecutive Board of Director meetings without submitting a proxy report will be considered to have vacated office, and appropriate steps as outlined above may be taken by the Board of Directors to fill the vacancy. Meetings of the Association shall be held at the call of the Board of Directors, at such time and place as the Board may determine. A quorum for the transaction of business at such meetings shall consist of twenty-five members having the right to vote. Amendments to these By-Laws may be proposed by the Board of Directors, by a committee appointed for the purpose, or by petition signed by twenty-five members. A proposed amendment or new by-law shall become effective when it shall have been approved by a majority of the Board followed by ratification by the members of the Association either by a vote by mail or electronic ballot of a majority of the members of the Association voting, or by a majority vote of the members present and voting at a membership meeting of the Association. The Board of Directors, on approving a proposed amendment or new by-law, shall specify whether a vote for ratification shall be taken at a called membership meeting of the Association or by mail or electronic ballot, and if a mail or electronic ballot vote is ordered, the Board shall fix the time for the beginning and closing of the balloting. If a vote at a membership meeting is ordered, at least one month's written notice and the text of the proposal shall be mailed or emailed to each member and/or posted to the Association website. Publication in the Association newsletter fulfills the requirement that the text be distributed to each member. Robert's Rules of Order (Revised), in the latest edition, shall govern the Association in all cases to which it can be applied and in which it is not inconsistent with these By-Laws or with special rules of order. Upon dissolution of this organization or the winding up of its affairs, the assets of the organization shall be distributed for one or more exempt purposes within the meaning of 501(c)3 of the Internal Revenue Code, or corresponding section of any future federal tax code, or shall be distributed to the federal government, or to a state or local government, for a public service. Charitable or educational organizations having purposes similar to those of this organization shall be preferred.